What you need to know to boost your agency sales. Insurance leads are among the most powerful marketing tools you will ever use and since you are reading this white paper, you have obviously found that survival in this business depends on Internet leads. In order to squeeze every bit of value out of those leads, it is imperative that you work each and every lead and close them professionally and quickly. There are many lead companies out there, but since you have selected one that was actually started by a former insurance agent, and staffed by friendly and knowledgeable sales and support staff, you will be able to optimize your marketing in one stop and be able to expand your reach into your desired market. What Exactly IS An Insurance Lead? Forget everything you think you know about what an insurance leads are and focus on the fact that a lead is an opportunity. A lead is not just contact information or an email sent to your office. Once you begin to see leads as a way to expand your business, handling them will become easier for you. 1. Be Realistic: Not every insurance lead is of the exact same quality. In some cases, people will submit fake information into our system. Depending on what they use as information on the form, it can get past our filtering process. If that does occur, just let us know, either by calling, emailing, or clicking on the “return” button in your agent center. 2. Your Competitors Buy Leads: Some agents become frustrated when they discover the shared leads they buy online are being sold to another agent in their area. So when they wait hours or even days to contact the lead, they are already behind and the prospect is already likely sold by another agent. One way to alleviate this issue is to call leads as soon as you get a notification from us. 3. Leads Are A Powerful Tool, But They Require Hard Work: Leads are not a get-rich quick scheme.Your business is not going to explode by 1000% just from buying insurance leads. 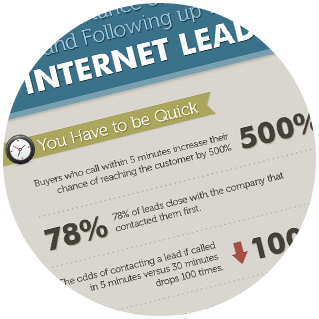 Leads require you to act fast and work the phones diligently. 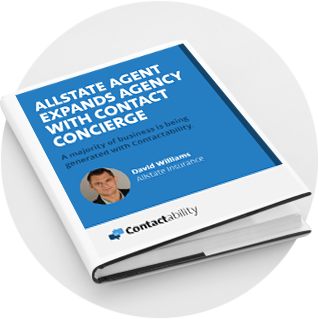 Agents can be more successful by using all the tools available to ensure the leads are contacted within minutes. 4. Leads Don’t Close Overnight: Often, an agent will be unhappy if a lead is not closed within a week. This is unrealistic, because in some cases leads can take months to close. You have to be aggressive in your follow-up campaigns and using a lead management system is one of the best ways to do that. Always work the lead until you get a definite answer from the consumer. Use Filters Wisely: Setting filters can be time-consuming, and being too restrictive can leave you with just a handful of leads every month. Instead, try out an entire state with few filters to see how your closing ratios respond. That will enable you to see if it is worth the time to add a filter after you have had time to track your results. AGENTS WHO ARE TOO RESTRICTIVE WITH THEIR FILTERS END UP RECEIVING ONLY A TINY FRACTION OF THE LEADS THEY NEED TO GROW THEIR AGENCY. It is impossible to grow an agency on two leads per month!! 1. You Are Not Alone: When you buy insurance leads online, unless you are buying EXCLUSIVE leads, the lead is being shared with other agents. 2. Be The First To Contact The Consumer: There’s a lot to say about being number one. You need to be the first agent to contact the prospect. Waiting just ten minutes is too long...you have a 20 times better chance of converting a lead if you contact them within the first five minutes!!!!! 3. Never Quote The Lead Until You Talk To Them: Never send the quote to the prospect until you have had the chance to speak to them. What if they entered incorrect information on the online form? Why waste time putting together a quote that could be completely wrong? Additionally, if the contact information is incorrect, you would be wasting your time with a lead you cannot contact. DON’T DECIDE FOR THEM THAT THEY DON’T WANT YOUR SERVICES!!!!!! An objection arises when you have not clearly explained the value in your product, or have not communicated well with the prospect. 1. “I CAN’T AFFORD IT”! All things aside, this statement is sometimes true. The customer cannot honestly afford it. For nearly everyone else, you have not created the value. Never sell on price, always change the conversation to a value proposition. Re-frame the proposition; ask them if they would want the policy if the cost were lower. Get them to say “YES” again. Ask them if it is really about the money or if it is more the concern of making such an important decision or going through the perceived trouble of switching. 2. “I NEED TO THINK ABOUT IT” This is an easy one to field. Ask them what they are thinking about, and they should then reveal their concerns. Perhaps something was not clearly defined and they are not seeing the value. Help them see it! 3. “I WANT TO SHOP AROUND SOME MORE” If you are an independent agent, remind the customer of that, there is no need for the prospect to shop around because you can provide multiple quotes from many companies. YOU are their shopping around! if you are an exclusive or captive agent, then you need to sell the idea of your agency. Sell the company brand, and your excellent customer service. 4. “CAN YOU JUST SEND ME SOME INFORMATION”? They don’t just want information, they are a lead. They are clearly not content with their current insurance. This is a common blow-off objection to get off the phone because you have not likely created value in your product. 5. “I THINK I AM GOING TO STICK WITH MY CURRENT POLICY” Same as above. Why would they be looking? You have to show why they would benefit from choosing you. 6. I’M NOT THE ONE WHO CAN MAKE THE DECISION” This is not an objection at all, it is just the need to get both parties on the phone or in person at the same time. Set up a time to meet or do a conference call to close the sale. We were lucky enough to interview an agent who ranked among the top 20 agents for a Fortune 100 national insurance company. With more than 2500 of his own clients, he has definitely earned the title of a pro closer--here are some of his thoughts. - Your potential clients must feel like they are number one. - Build trust in the initial phone call, get to know the customer before you try to sell them. - Make sure the package you put together is what the prospect actually needs. If the customer feels like it is just a generic policy, this will turn them away. - Never try to close a person if you do not have their full attention. If they are distracted by noise or kids, try at another time. - Stay calm, relaxed, and focused during the conversation. A sale is never lost until the last second, so don’t hurt your chances by giving up simply because you sense a little push back. - Remain personable, if meeting face to face make sure to maintain eye contact. - LISTEN! Show enthusiasm for your product. Present your offer as if it is the best they will ever find.Don’t be afraid to ask questions, but do not let these questions lead to lengthy conversations. Sounding irritated is the wrong thing to do; telling them they should feel guilty about the time you put into their quote will just guarantee that you will never hear from the prospect again. BUYING LEADS AND FUNNELING THEM INTO YOUR SALES PROCESS CAN BE THE MOST COST EFFECTIVE WAY TO GROW YOUR BOOK OF BUSINESS!! !